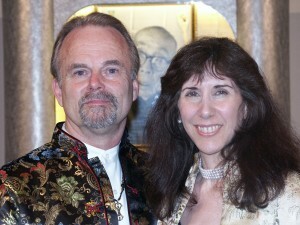 READ THIS LETTER FROM MASTER VAN DONK! From the time I was a young boy of about seven and saw a movie with black garbed warriors defending their homeland I was intrigued with the ninja and I vowed to one day learn to have the same powers and magic that those shadow warriors held secret. I wanted to be one of them: to be more aware than the average man, to be masterfully skilled in defensive combat, to be so elusive that I could hide in plain sight and to be so stealthful that no one would even notice when I chose to strike or had to complete a mission – and most important of all, to be a protector of my family, friends, and community against any evil or wrong doing. I didn’t just dream of being an okay ninja of course, but of being a strong, respected ninja leader and a hero of sorts. The ninja were my heroes; they were the best of the best at everything. People told me that it wasn’t true, that there were no ninjas and even if there were, it wasn’t possible for me to be one. A part of me would not listen to them. I kept my dream alive. My secret dream was to be accepted for ninja training in a hidden mountain village deep in Japan, a secret elite training camp where morning, noon and night I would be trained by some of the best warriors in the world in the arts of self defense, weapons mastery, stealth tactics, body conditioning, mind states control and obtaining deep spiritual integration. I dreamed of running and climbing obstacle courses, doing group weapons trainings in the courtyard, and mastering perseverance over my mind and body. And after earning the trust and respect of my teachers I would take vows and leave as a skilled warrior with spirit, heart, and diversity, ready to accomplish anything I chose in life. Dreams such as this don’t go away, they linger in the subconscious until some kind of action takes place and at some level fantasy becomes reality. Over time this dream of mine manifested itself into three decades of training – in Karate, Eskrima, Jujutsu, Akijutsu, Taekwondo, special forces training, and over 25 trips to Japan to train in sword and taijutsu with Grandmaster Masaaki Hatsumi, keeper of the true Ninja lineages. Although the actual hidden mountain training camp did not exist as I had imagined it, he took me in and gave me the training I had yearned for. And not only did I receive the blessings and trust of my teachers (especially Grandmaster Masaaki Hatsumi), but also their certified encouragement to share my knowledge with others throughout the world. I am sure that you, like me and many others, would like to experience the kind of intensive training I once dreamed of. 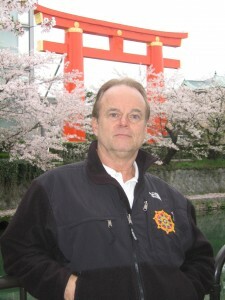 Since many people are not ready or prepared to seek out this art in Japan, I have designed this distant learning program packed full of information that you cannot get anywhere else. I am bringing it to your door and offering you a way to experience the art of the Ninja for yourself. You won’t be alone as people all over the world are studying with you. They are doing it and you can too. Our online Members Only training forum will help you with any training questions you have since high level Blackbelt instructors are there waiting to help you. We have camps and seminars where you can come have fun and expand on your skills. 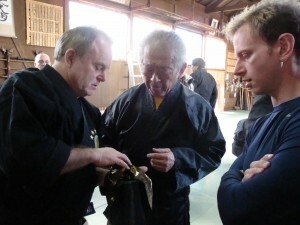 Besides my one on one Personal Mastery Weekend Events where you can come learn directly with me I even take students on trips to Japan to train with the legendary Ninja Grandmaster Masaaki Hatsumi. This is more than a martial arts learning program it is a change in life. I truly hope you get started right away and experience for yourself the incredible life changes studying this art gives. I look forward to meeting you someday in person. 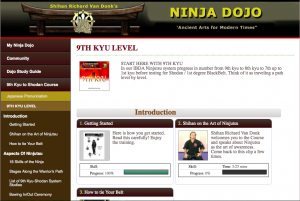 LIFETIME ACCESS "Ninja Dojo Online" for FREE! © 1995 - 2017+ Copyright by Bushindo, Inc. / Richard and Linda Van Donk. All Rights Reserved for entire site and its contents. No images or text maybe reproduced without written permission.